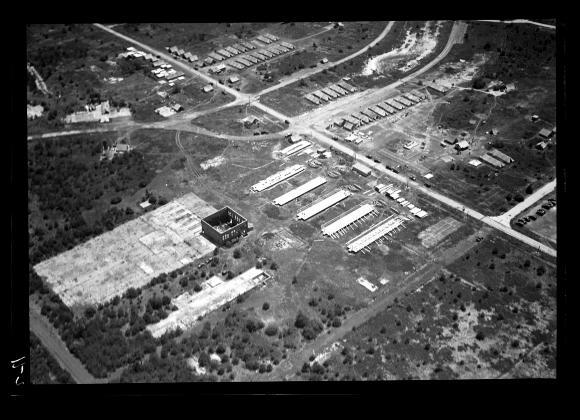 Aerial view of Camp Upton, a Civilian Conservation Corps camp at Upton in Brookhaven, Suffolk County on Long Island. This image was created to record the Civilian Conservation Corps activities of the New York State Conservation Department. Source: New York State Archives, New York (State). Conservation Dept. Photographic prints and negatives, [ca. 1904-1949], 14297-87_1953.